Moopie Fabrics, a local fabric supplier, contacted me earlier in April, offering me a delicious spread of Michael Miller and Japanese fabrics. Cherish, the owner, has been really helpful and patient with my order. How can I say ‘no’ cute Kokka fabrics? So, IN this week: Various Michael Miller and Kokka fabrics. Last week, I had a finger-clicking good time and bought new fabrics which I will share later. The highlight of a crazy work week was a visit by a long-time with her super duper cute baby boy. She came over to pick out fabrics for Baby L’s new quilt and we end up ripping into my still-un-packed-bags from my Japan trip. It was great fun and we ended up choosing fabrics for 2 blankies and 1 quilt! FUN! This is AnPan Man (Bread Man), a Japanese comic character that we all grew up with. I grabbed this 1m cut from Yuzawaya in Japan, and didn’t get a chance to pick out more Anpan character fabrics. Darn it! The fabric is cotton/linen blend for the top and cotton muslin for the backing. I’ve not been a good girl when it comes to deadlines for the past 2 weeks. Last week, we shared a super yummy Mother’s Day dinner at my mom’s (yes, she cooked. Insisted that we should not get ripped off by the restaurants, and we can always buy her expensive meals anytime :p). I whipped up some last minute small-ish gifts for her then. Well, I didn’t plan to make anything too elaborate because we celebrated my mom’s birthday at the end of April and I gifted the Star Quilt for the ocassion. The weather then was dreary for many days and I did not manage to take a decent before I gave it to her. But I did snap a quite picture at the restaurant that evening. On Friday, I was just thinking that I have neither ‘IN’ nor ‘OUT’ to report this week since I have not been sewing much at the machine. Oh soooo boring. But over the weekend, sewing happened! I’ve seen many beautiful string quilts on Flickr and they look like really good scrap-busting projects to work on. 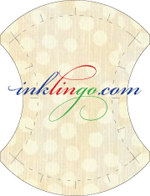 There are essentially 2 methods of creating string quilts – piecing with fabric foundation or paper foundation. Piecing with fabrics sounds like a great way to bust some serious stash too. But I don’t think I like the extra weight, plus I can imagine the amount of seams in the quilt (by the way, I’m aiming for a Queen Sized quilt). So, it is paper piecing for me. For fabric foundation method, click here. I have a ream of A3 sized, low GSM paper that we used for mapping out projects (day job) ideas and they are perfect for paper foundation piecing. So, I did a test block, following this tutorial from Film in the Fridge. I find it ‘slippery’ to sew with paper and because some of the scrap strips are cut on bias, it was a little challenging trying to set the 1st diagonal straight. This will create problems when I put the blocks together and I would expect the center strips of the blocks to match. So, I modified the instructions a little by marking two lines, 1/2″ from the center diagonal on the paper (my center strip is 1″ wide). Back to the drawing pad, I planned the colour way and layout of the quilt. Afterwards, I pulled out the scrap buckets and started sorting them out by colours. So, most of the scraps are in 6 bags now (and why do I still have the same number of scrap buckets left under the table???). I also cut up some fabrics from yardage to make up for the colours and centre string. This also gives me the opportunity to use up some Uglies in my charm packs and FQs that I probably will never use in a non-scrappy project. I can’t get over Hope Valley. I love the dusty colours and I love its vintagey-not-too-girly feel. I just had to get my hands on them. No thanks to Fab****atic, I didn’t receive any of the half yard sets, which I paid for, from them. So, I bought the Fat Quarter set from an online store that I have shopped with before.